I always turn my head when I see these cars driving around town. They are so cute and petite. I’ve been telling Seth that when the daddy car breaks down, I think it’s time to get a Smart car. He’s not too keen on the idea. 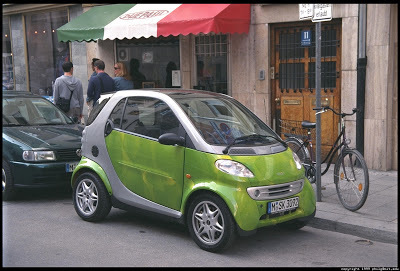 The post Smart Car appeared first on Darling Darleen | A Lifestyle Design Blog .